Sass up your salmon with a little bourbon and lime juice with this easy recipe for bourbon lime salmon! It’s a snap to make, and the best version of naughty meets healthy. We are currently in a salmon situation in our house, because every once in a while we get a little, oh, INDULGENT (more on that in a bit) and I have to get us back on a heathy eating track. And that always involves salmon, which is not only one of our favorite fishies, but is also a superfood (so are tea and blueberries by the way, two of my other faves!). And when you are doing a deep dive into healthy eating, anything that is a superfood sounds good to me. In this case, I kept a little of the naughtiness going by bathing my salmon in a mixture of bourbon and lime and other good things, but just enough to give it a little sass. Super good and good for you…let’s make it!But first, the INDULGENCE. Last week was the Southern husband’s birthday, and we decided to make a weekend out of it. We hopped in the car and headed a couple of hours down the road to Philly, where somehow we ended up right outside of Geno’s Steaks. Actually, we first ended up outside of Pat’s King of Steaks which is usually our cheesesteak emporium of choice, but there was a tour bus parked outside of Pat’s and everyone on the bus was in line for a cheesesteak so we headed across the street. 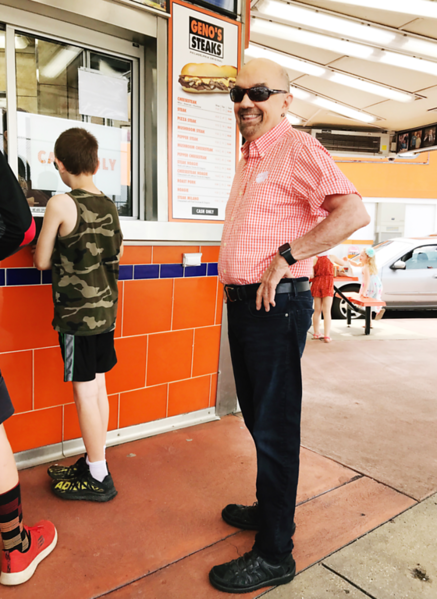 Geno’s and Pat’s are arch rivals, and I’m sure some of you will tell me in the comments about your fave, but in this case we needed a cheesesteak as soon as humanly possible and Geno’s did not have a tour bus so…. And I gotta say, the cheesesteak was sublime. We also may have gotten cheese fries. I forget. Once we had dropped the car and our stuff at our hotel, we ambled over to the Reading Terminal Market. If you are ever in Philly, please do not miss this place. Every single kind of fabulous thing you can think of to eat and drink, including about a thousand different kinds of bacon. It is the farmer’s market to end all farmer’s market, and the Southern husband’s favorite place to get a giant soft pretzel. By the afternoon we were exhausted from all the scrumptiousness, so we took a nap until the fire alarm went off in our hotel and we all had to evacuate to the street. It ended up being a false alarm, but by the time that was sorted out the entire hotel was outside on the street and so when the coast was clear…let’s just say it was evident there was going to be a LINE for the elevator. …silver lining! 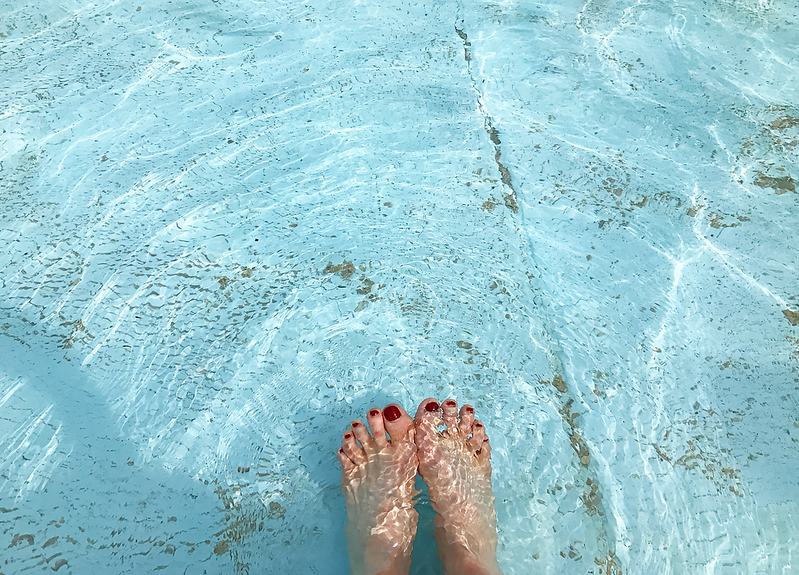 Shoes off, toes in. You’ll be relieved to know I have since gotten a pedicure. After all that exercise, we were ready for dinner, at our very favorite place, Urban Farmer. Where they give you packets of vegetable seeds with your check. LOVE. So by the time we got home the next day (after a breakfast of eggs/thick cut bacon/potato cake/homemade sourdough English muffin) it was time to push the reset button, and so here comes the salmon. This super easy salmon involves marinating a salmon filet in a mixture of bourbon and lime juice and a few other things, and then roasting it for about 15 minutes until it is tender and perfect. Drizzle it with just a teeny bit of honey and sprinkle it with sesame seeds and scallions, and you are back on the road to being able to button your favorite jeans. Put salmon in a zipper plastic bag with bourbon, brown sugar, soy sauce, lime zest and juice and close up the bag. Turn it up and down a few times until the fish is well coated, and then let it lounge in the fridge for a couple of hours. When you are ready to make dinner, preheat the oven to 425 and line a rimmed baking sheet with non-stick foil. Place the salmon skin side down on the foil, and if there is a thin part at the end tuck it underneath. Pour the marinade over the salmon and roast it for 12-15 minutes. Divide the salmon in two pieces on two plates. 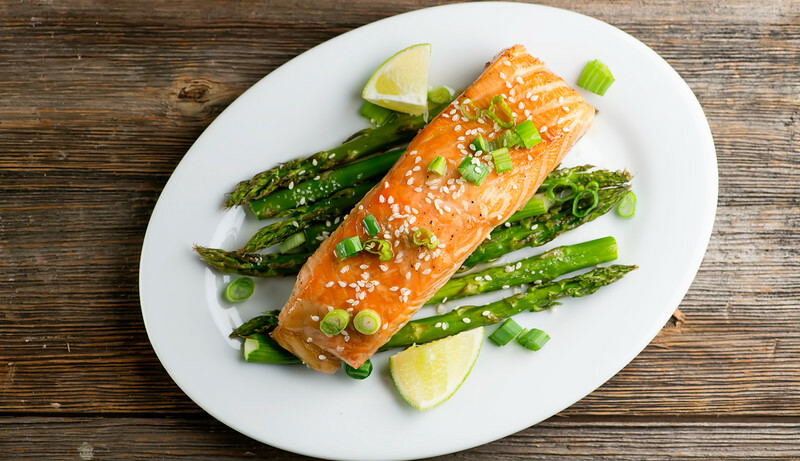 Drizzle with a little honey and sprinkle with sesame seeds and scallions, and serve! I can’t even imagine what I’d order at the Urban Farmer, what a wonderful menu. You may have forgotten your cheese fries cause you were in a food coma, lol. Seriously, though, I love cheesesteaks and now I’m totally craving!! All about balance, though, and this salmon looks delicious!! Love the touch of bourbon in there. A quick and healthy weeknight dinner, that’s for sure :) !! Wonderful salmon recipe I love all the flavors here! 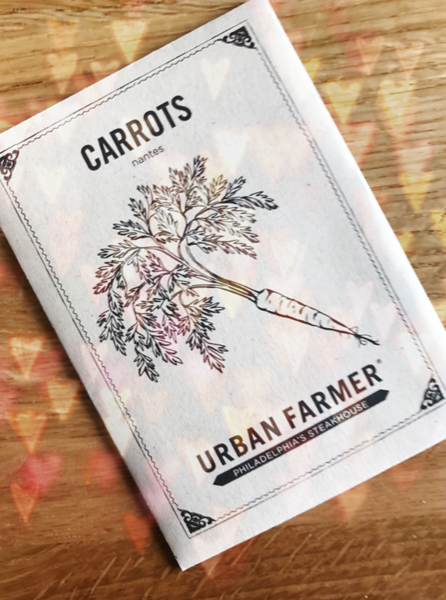 What fun menu at Urban farmer, I must try it someday! Oh, Urban Farmer is the BEST! 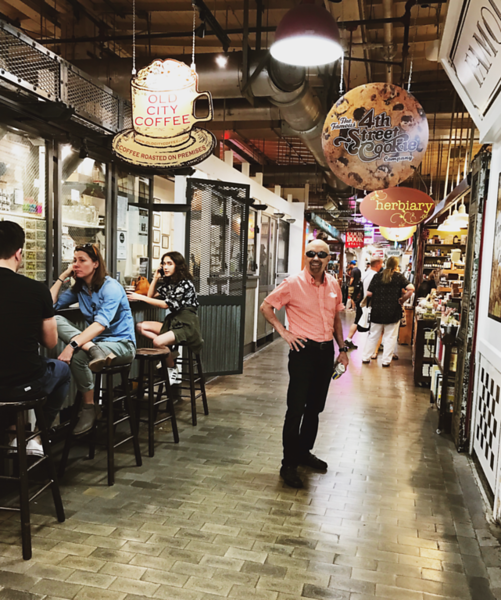 Reading Terminal Market! One of my favorite places in Philly! It’s a quick train ride from my house Kate! So love this salmon! You know I’m loving that bourbon and lime in that marinade! Happy belated birthday to that Southern husband of yours! I heard BOURBON and SALMON in the same sentence and couldn’t even take the glory of it!